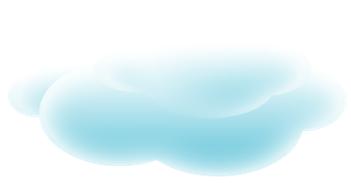 Here, we define an Angel as a person of exemplary conduct or virtue. Our Angels help us so that we may be better equipped to help others. This page is dedicated to those who lend support to our Post so that we may better serve those South Windsor Veterans and families who need our help. To all of our Angels — we, at Post 133, hand salute you! 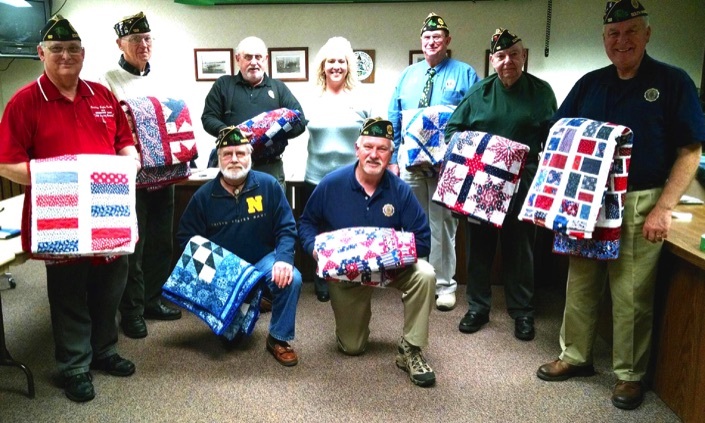 distribute to the Veterans in our local South Windsor convalescent homes. Standing Roger A., Bruce D., Skip H., Dawna C., Ken L., Bob H., & Leigh L.
Submitted 3/20/14 by Kent C.
Check out more photos on the 'lap quilts' on our 'Photos' page. with a check for $1,000.00 to Wreaths Across America. From left to right: Cate Evans, Pam Moriarty, Roseann Jacques, Kevin Paradis, Tatyana Makarov, Rocco Sanzo, Art Sladyk, Abby Gagne, Brandy Oliver & Jessica Stalmach. Submitted 12/9/14 by Art S.
at our November 18th Post meeting. Submitted 11/18/14 by Bill D.
If only more people could have the patriotic spirit of these women. 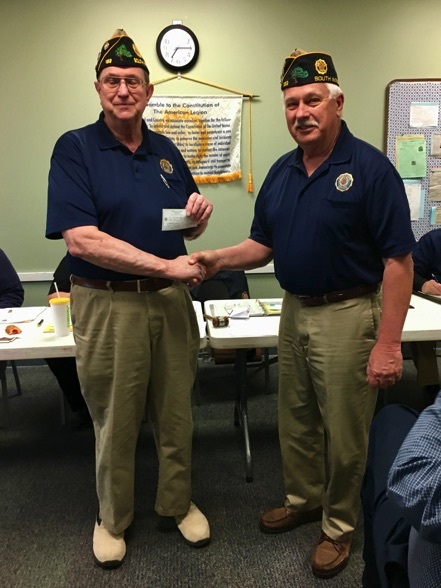 Shea & Company Real Estate donated $250, which comes from a portion of each recent real estate transaction, to the American Legion Post 133 of South Windsor. The donation benefits the Soldiers, Sailors, and Marines Fund, which provides financial assistance to Veterans and their families in Connecticut. 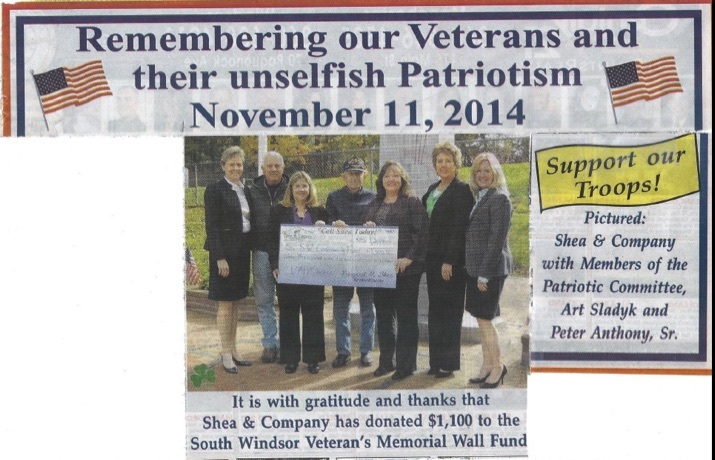 This is part of Shea & Company's ongoing dedication to support our military and the community. 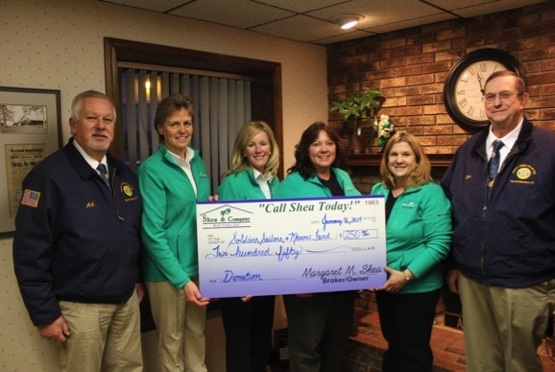 Pictured, left to right, American Legion Post 133 Commander Art Sladyk, Broker/Owner Margaret M. Shea, Realtors Linda Driscoll, Kelly Moser, and Cindy Szymanski, and American Legion Post 133 Service Officer Kenneth Lewis. 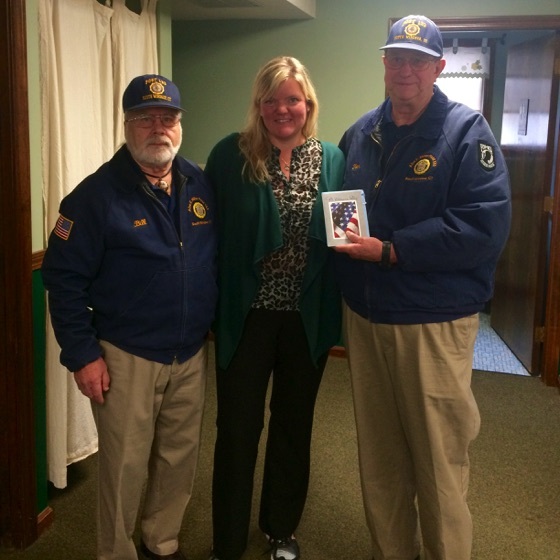 to be used in our ongoing effort to help Veterans in need in South Windsor. 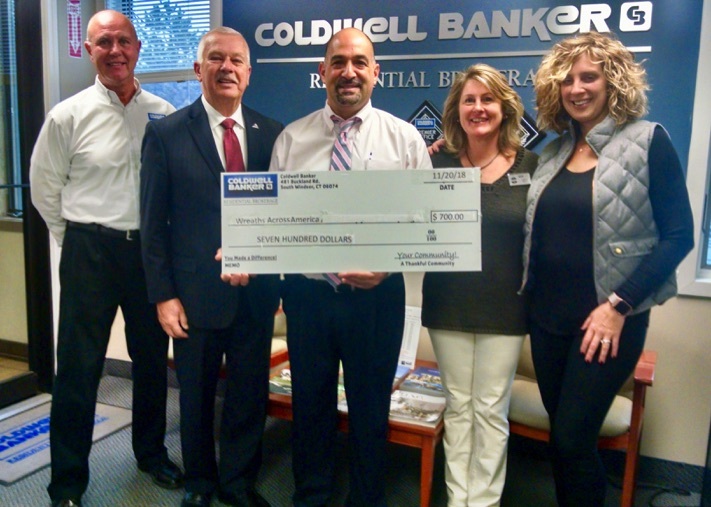 Receiving donation check from Coldwell Banker Realtors for Wreaths Across America. 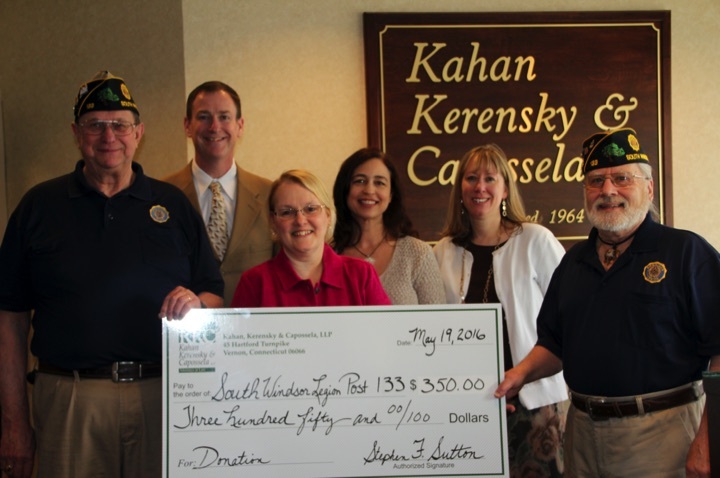 On May 19, 2016 a few of the employees presented our Post Veterans Relief Fund a check on behalf of the law firm of KKC, llp. (Kahan, Kerensky & Capossela) in the amount of $350. Ken Lewis, Attorney Steve Sutton, Arlene LeRoy, Karen Welch, Eva Holmes, and Bill Dopirak. 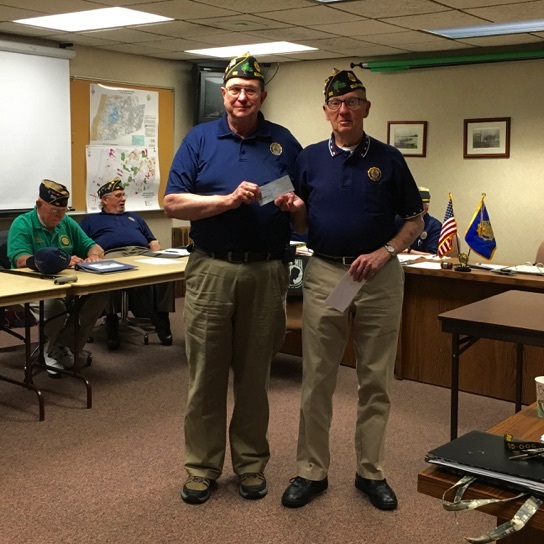 Shea & Company Real Estate donated $1,000, which comes from a portion of each recent real estate transaction, to the American Legion Post 133 Veteran's Relief Fund. 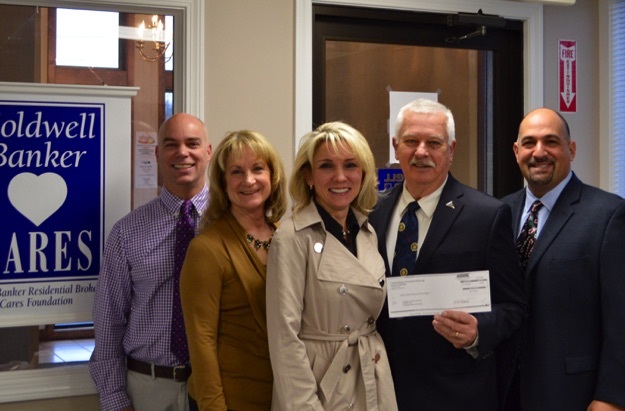 The donation will help us to provide financial assistance to Veterans and their families in South Windsor. This is part of Shea & Company's ongoing dedication to support our military and the community. South Windsor Police Union Treasurer, Corporal Michael Thompson (L) and South Windsor Police Union President Sergeant Christopher Duchesne (R) present Post 133 Commander Art Sladyk with a check in the amount of $380 to help fund the State Police Youth Week. to our Post 133 Veteran's Relief Fund. This is part of Shea & Company's ongoing dedication to support our military and the community. 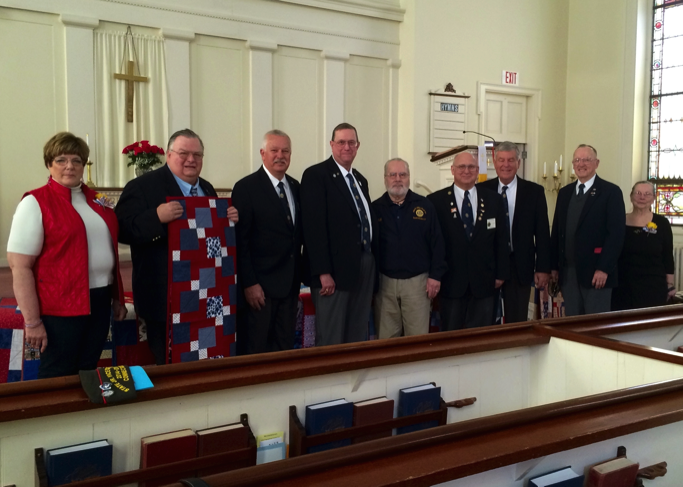 These donations help us in providing financial assistance to South Windsor Vets and their families. 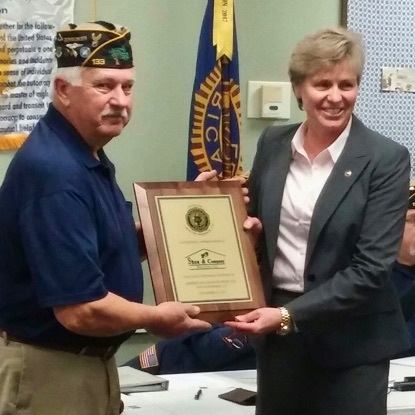 with a plaque in recognition of Shea & Company Real Estate's continuing assistance in aiding our Post 133 Veteran's Relief Fund. 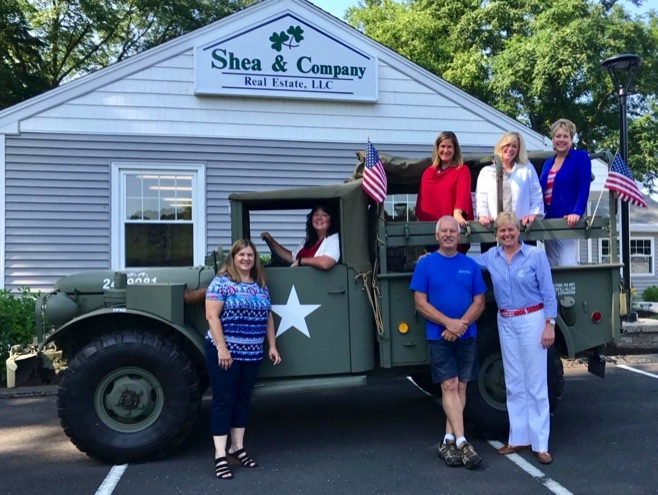 Shea & Company contributes a portion of each real estate transaction in their ongoing dedication to support our military and community. with a plaque recognizing his long time committment, over many years, of silently supporting our Post. hanging out with our most attractive group of 'Angels'. donated $700 to Wreaths Across America.